My good friend Christine got married on October 13th. It was such a beautiful fall wedding and so much fun! The food was delicious, and they had this chicken chili that was to die for. Honestly, if I had to choose one thing to eat for the rest of my life, this chili might be the winner. Ever since then, I’ve been wanting to try to make chili at home. I’ve been looking for a crock pot recipe (surprise) and came across this one. Although it is a little different from the one I had at the wedding, I was pleasantly surprised with how good this came out. If you know me at all, you know that I incorporate essential oils into my everyday life. They help to keep my family happy and healthy! I only use Young Living Oils, as every oil company is so different. Young Living created “Seed to Seal”, which basically means that they control every step of the process from planting the seed to shipping the oil to you. Because I know the company’s commitment to the quality of their oils, we’re able to use them in so many amazing ways! And that includes our recipes! For this one, I used my Black Pepper essential oil, and Josiah had a great idea while we were eating our dinner. He recommended adding my Lime essential oil to the chili next time, and now I can’t wait to make this again! This recipe calls for a few more ingredients than my Hawaiian Chicken, but it’s still so easy! I took the leftover chicken from the night before and cut it into cubes and kept it in the fridge. that way, I just had to prepare everything else the following day. This meal is so flavorful and it’s going to be another staple in our fall/winter menu. This recipe makes a good amount, too, and since it’s just Josiah and I eating it we had a ton left over. We’re going to eat the leftovers today and we’re going to put it over white rice for a little different variation. Combine all ingredients in the crock pot. Cook on low for 7 hours. Enjoy! 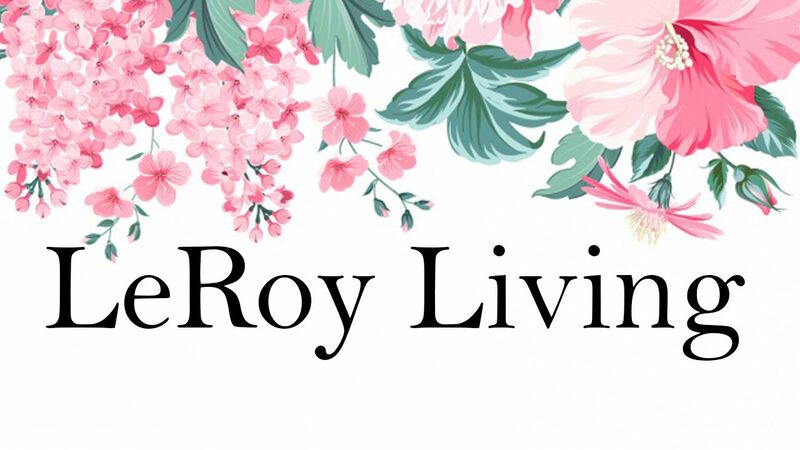 LeRoy Living is the online journal of Lauren LeRoy, a funeral director by trade looking to remember the little moments in her life. In 2012, Lauren started Little Miss Funeral, a blog detailing her journey as an average girl working your not so average job. Finding writing as a therapeutic outlet for her unusual career choice, Lauren decided to create another outlet for her home and travel life. LeRoy Living is exactly what it sounds like; a place for Lauren to share things that fill her life with joy. bubba looking out the window (can you see him?) & little girl curled up in my arms. she’s had a fever all day & the doctor just says to watch her for now. thankful that i can be here with her & the toys, well, i’ll pick them up later. she is SEVEN months. like wtf is even happening? we are still going strong with breastfeeding. so strong, in fact, that she absolutely hates puréed food. apples, sweet potatoes, green beans, bananas, pumpkin....she hates it all 😂 she talks so much & says ‘ma ma’ alllllllll the time but who knows if she knows what she’s saying 🤷🏻‍♀️ we still count it! we love you little bird ❤️ thanks for the best seven months of our lives! i haven’t been taking many pictures of my baby sleeping on me recently. then today, i thought to myself, what if this is IT? what if tomorrow she doesn’t nap on me? what if she prefers her daddy, or her crib, or our bed? what if this moment here is the VERY last time she lays her head on me? honestly, i very much doubt that today is that day, but one day it will be and i won’t even realize it. one day i’m going to miss this more than anything in the entire world so right now we’re laying together & i want to remember it.